Crucifixion was a form of capital punishment in the ancient world meted out to enemies, traitors, and those guilty of sedition. It was a most cruel form of execution as the hapless victim was stripped of every fiber of human dignity – he was nailed or tied to a cross completely naked and left exposed to the elements with neither food nor drink, while passersby jeered and hurled insults at him. Hanging upright made breathing laborious with muscles of the torso pressing on the lungs. The entire body was wracked by cramps, excruciating pain, exhaustion, and muscle fatigue. Adding to this physical misery were psychological and emotional tortures brought about by forlorn loneliness, feeling flies and ants feasting on one’s festering wounds, having carrion-eating birds – crows and vultures – pluck out one’s eyes, and knowing that the suffering could last days, even weeks! For such a horrific ordeal, death is a sweet mercy. Though the Assyrians are known to have crucified their enemies, it is the ancient Persians who have the dubious distinction of having devised this method of execution. Later powers like the Greeks had little use for it whereas Carthaginians and the Romans used it extensively. But it was the latter that employed crucifixion with ruthlessness and efficiency to put away hardened criminals, quell rebellion, intimidate enemies and warn all that nobody messed with the Roman Empire. In 73 BC, the Thracian gladiator Spartacus led a rebellion against Rome with a strong force comprised by fugitive gladiators and runaway slaves, a sizable army that was reinforced by peoples wanting to be rid of Rome. After enjoying a succession of initial victories Spartacus was killed in battle in 71 BC, and the revolt immediately fizzled out. Thereafter six thousand of his followers were crucified, the crosses flanking either side of the Via Appia. Another mass crucifixion occurred a century hence. In AD 68, Titus marched to Jerusalem with his powerful legions to quash a Jewish uprising. The Jewish historian Josephus who called crucifixion “the most wretched of deaths” recounts the horrors of that war and its grisly aftermath. Following a two-year siege, the insurrectionists holding out within the enclave of the city’s fortified walls were weakened by hunger, widespread famine and disease. Resistance fell in AD 70. The victorious Romans razed Jerusalem to the ground, leveled its Temple (save for one wall), and crucified thousands of Jews daily. Jesus Christ was condemned to death by crucifixion. The Sanhedrin accused Him of claiming to be the Son of the Father; charged Him with blasphemy, a crime that merited death under Mosaic Law; and consequently sentenced to die. The priests who passed the verdict faced a dilemma since they were powerless to carry it out. Roman jurisprudence held sway over life or death for anyone charged with any crime; they needed the approval of the Roman governor. Only Rome and Rome alone could carry out any executions. They realized too that their charge of blasphemy wouldn’t carry any weight with the Roman magistrate. So what if Jesus claimed to be the Son of God? Romans had dozens of gods! And so it was. Jesus Christ was crucified by the Romans for the capital offense of blasphemy the Sanhedrin had leveled on Him. Thus His crucifixion fulfilled a Rabbinic saying, “Cursed is he who hangs upon a tree,” alluding to Deuteronomy 21:22 that any man guilty of a capital offense would be put to death and hung upon a tree. The tree was the cross and Jesus took the curse of sin and died for all humanity. Crucifixion continued to be employed by the Romans for many more years. During the Christian persecutions, hundreds suffered martyrdom through the cross. In the mid-first century persecutions demonic savagery of Nero had Christians crucified and smeared with tar then subsequently set on fire to light up the night. In the intermittent persecutions that occurred till the turn of the fourth century crucifixion was among the favored methods of executing Christians, a death so cruel yet countless martyrs willingly submitted to it, knowing that without the Cross, there would be no resurrection. 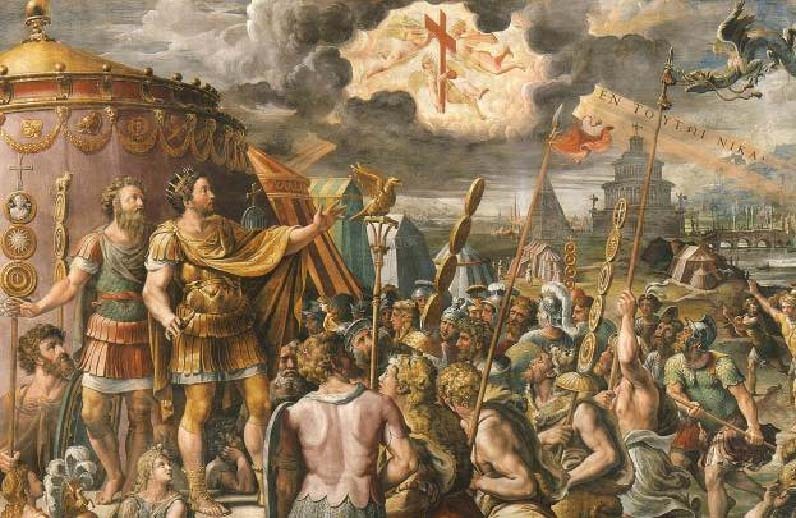 At the onset of the 4th century, when young Emperor Constantine was encamped with his troops contemplating his prospects for success in an upcoming battle versus a vastly superior force, he saw a cross in the sky and a message – In hoc signo vincis. “In this sign you shall conquer.” Although he was a pagan he took the vision to be a cue from heaven and immediately ordered his troops to don the Christian symbol as their battle standard on their banners and shields. In the ensuing Battle of Milvian Bridge, his outnumbered troops routed the enemy and emerged victorious. Thereinafter He issued the Edict of Milan for the emancipation of Christians, thus ending the bloody persecutions. Since the earliest days of the Church, Christians viewed the cross as a symbol of God’s love. A sign of our redemption – “By your Holy Cross you have redeemed the world.” Suffering took on new meaning; they associated their own sufferings in union with Christ’s Cross. Perplexed pagans thought of it as foolishness for they saw the cross as a sign of contradiction; unable to relate or grasp its significance to Christians. Those who did eventually became Christians themselves. In our contemporary times dying on the cross is far-fetched, improbable. Still, the Cross is with us daily. Without it there is no Resurrection. Trials that come our way and difficult relationships form our cross, and dying to self is our own crucifixion. Our Faith is represented by the Cross. With it we shall conquer all things that bar the way to Christ, including the greatest of obstacles that can separate us from Him – ourselves. 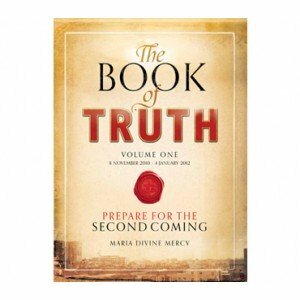 Click here to return from Crucifixion to Catholic Spirituality.